combining traditional prints with wax. 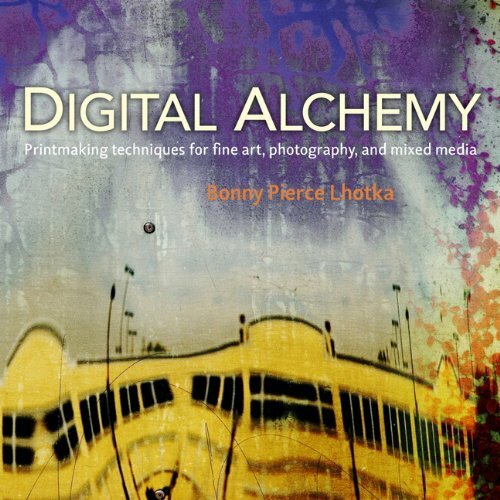 Leveraging her training as a traditional painter and printmaker, Bonny Lhotka brings new innovations and inventions that combine the best of centuries of printmaking techniques with modern technology to create unique works of art and photography. After years of experimentation and development, these new processes allow alternative photographers, traditional printmakers, and 21st century digital artists to express their creative voice in ways never before possible. Both by adding digital images to their traditional prints and taking their digital works into the tactile world, photographers, printmakers, and artists will find that they can easily add these processes to their studios. 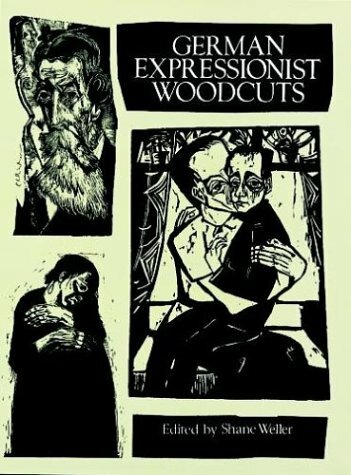 Over 100 works by Max Beckmann, Heinrich Campendonk, Erich Heckel, Franz M. Jansen, Ernst Ludwig Kirchner, César Klein, Käthe Kollwitz, Georg Mathéy, Edvard Munch, Wilhelm Rudolph, Arthur Segal, Jakob Steinhardt, Georg Tappert, Ines Wetzel, and others. Distorted, stylized forms embody revolutionary mood of the early 20th century. Introduction. Captions. Notes on artists. Sorry but in contrast to the other reviews on this book I found it woeful.I had wanted some analysis and context to German expressionist woodcuts but there is only a flimsy 2 page written article and the rest of the book is made up of poor reproductions of a woodcuts by various artists.The paper is very poor quality and the page finish is flat.The upside of this book is that it was quite cheap but on the whole I think its a dud. 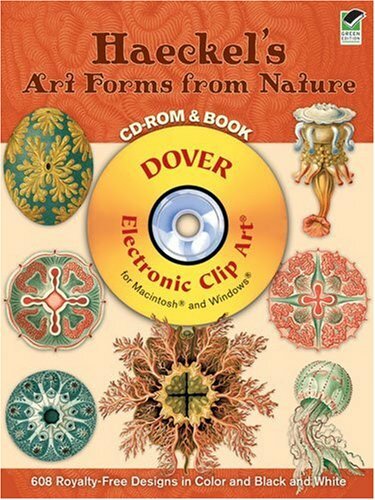 Bought with Wordless Books and is a fabulous companion... lots of great woodcuts from a priceless era of the art. ...then this is about the best $10 you can spend. I constantly return to this book for inspiration as it contains tons of examples of major German Expressionists as well as some I had not heard of. There's not much text to read, just page after page of raw woodcut imagery. very happy with the contents but would like to have known if prints were actual size? 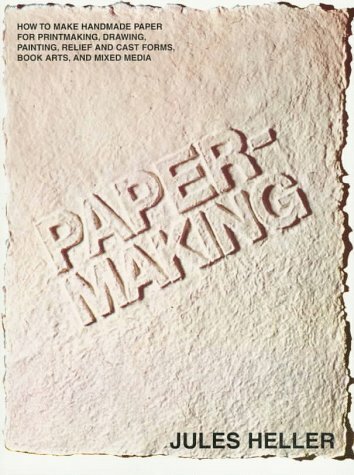 This book presents a decent mix of historical and practical information concerning papermaking. 6 color pages of artworks created with paper, the rest is black and white. This book was originally printed in 1978, and reprinted in paperback in 1997. Sounds odd, but not much changes in the field of hand made papermaking. 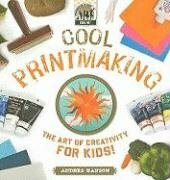 This book is for those who want to create handmade paper for printing or drawing, and goes quite a bit further than some of the 'crafty' scrapbooking publications I have run into. If you love handmade paper, you probably already have it, if not pick yourself up a copy and get motivated. From England's foremost wood engraver — prints as remarkable for their technical proficiency as they are for their simple beauty. A variety of dogs in rustic settings, cats curled on windowsills, as well as images of cattle, sheep, primates, field mice, insects, shorebirds, and other forms of wildlife, many in their natural habitats. 427 black-and-white illustrations. Was looking for updated info re collagraphy techniques for newbies and water-based and acrylic inks for same. Gleaned enough from older books to know that collagraphy is relatively easy for beginners because no expensive printmaking press was required to apply pressure, only simple household utensils were quite adequate (and often preferable). 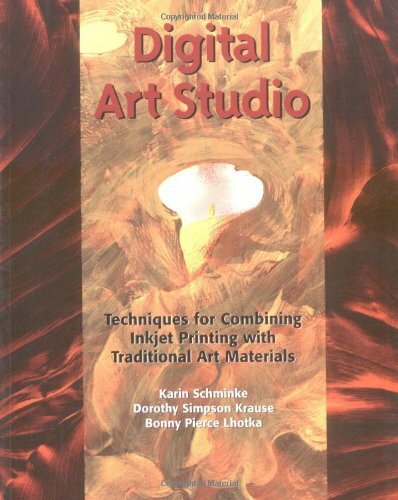 This book devotes seven pages to collagraphy and only mentions an oil-based ink/mechanical press method of producing collagraphic prints. Very disappointing, especially since many professional quality collagraphs today are printed using the manual, "pressless" technique. If you'd like to begin a more simple printmaking experience by making monoprints, or either wood or linoleum block prints, or perhaps screenprints, then you're in luck. The book is full of clear illustrations, instructions and color repros of finished prints. The other "press-dependent" printmaking methods are well covered here as well. Not heavy on details, but rock-solid on the basics that a beginner needs. Whistler ranks among the greatest of modern etchers, and this compilation features the best of his work in this genre. Here are 149 outstanding examples of his etchings and drypoints, most in the original size and reproduced directly from rare original prints. Appealing subjects include views of wharfs and bridges; street scenes from London, Amsterdam, and Venice; and portraits: "Black Lion Wharf," "The Storm," "The Village Sweet-Shop," "Old Battersea Bridge," "Nocturne," and many others. 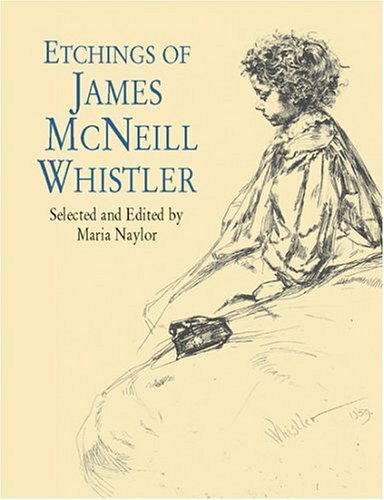 The editor has provided an insightful introduction and an explanatory note for each print, making this volume an excellent reference for those already acquainted with Whistler's etchings as well as a fine introduction for others. 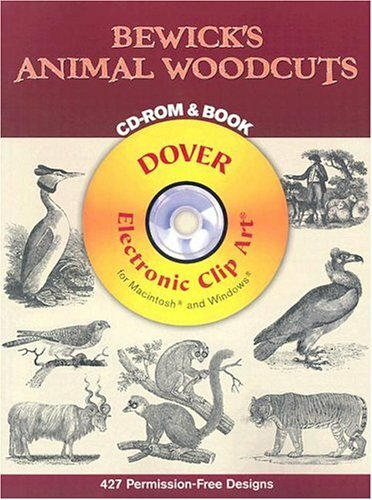 Unabridged republication of the work originally published by Dover in 1975. 149 black-and-white illustrations. Forty important lithographic prints with line and composition comparable to the works of Miro's friend Picasso. Eerie, droll, technically brilliant, and aggressive. 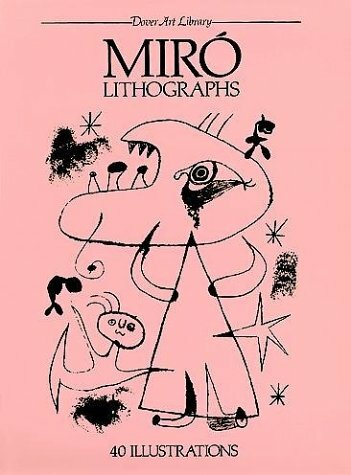 This book contains the prints of lithographs made by Miro' first produced in 1944, at the time of World War II. The illustrations are all black and white - some forms are quite whimsical, others reflect the influence of Picasso and surrealism. Though Miro's works usually contained bold colors, these works are all the more pwerful for the tonal values of black and white. If you are interested in art, especially of the Surrealist Movement, this is a great place to start. Monoprinting is a printmaking process in which a drawing or painting, executed on a flat, unworked printing plate or other surface, is transferred through pressure, to a sheet of paper. Recognised as a spontaneous and exciting process, the medium is also effective, convenient and does not necessarily require a press. Only one strong impression can be taken, hence the term monoprint. 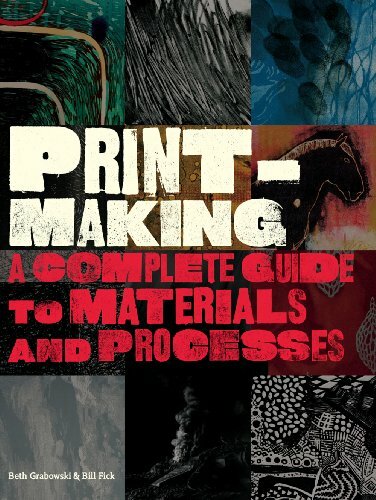 In this handbook, the authors show how to push the boundaries of monoprinting with various techniques, showing the unique possibilities and showcasing work from around the world. I really wanted to like this book, because I love monotypes. 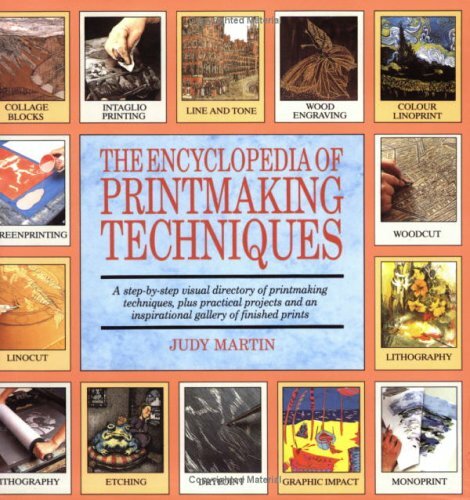 In keeping with the rest of this Printmaking Handbooks series, I sort of expected it to be written by authors who were experienced printmakers (it is) but not necessarily full of step-by-step explanations (it isn't). What I did expect though, was that it would be about "monotypes". 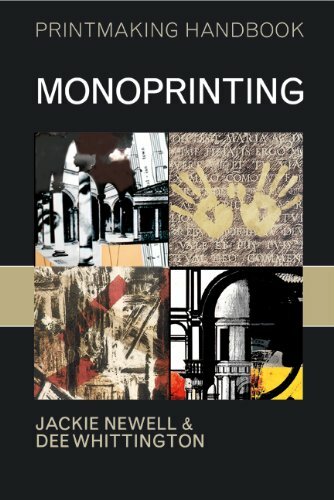 Only the first chapter (23 pages) is about monotypes, the rest is about "monoprinting (where you create a repeatable element from relief, collagraphs, screenprinting, etching, etc. and then add variations for the edition). 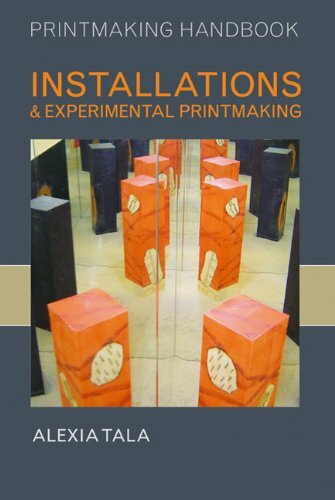 I don't mind stuff that uses similar materials to monotypes (collagraphs use stuff you'll likely have around the studio), but there's a chapter on screenprinting which requires additional hardware, tools, and different inks. The sample art covers many different styles, so there's probably something you'll like. 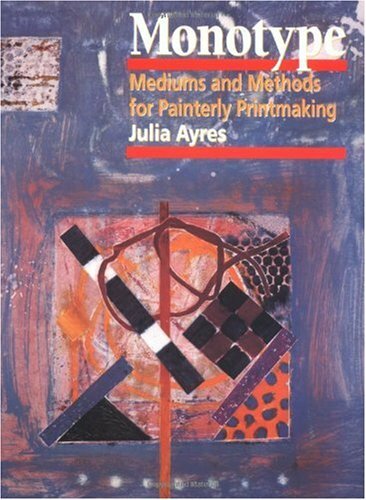 But just be aware that if you are looking for a book that is only about "monotypes" (a la the Julia Ayres book) then this is not it. Once I got past being annoyed at its lack of focus, I did quite enjoy it and there are some good ideas buried in the text. Though I really wish this publisher would put more of an emphasis on step-by-step photos of the process described so that these books could be more of a learning tool instead of a lecture. This book only has a subsection of Haeckel's prints.There are NO VERTEBRATES and almost NO PLANTS, despite claiming to have "turtles and hummingbirds" on the back cover.It does have a bunch of his protist drawings. The quality of the prints in the book is good, but they all have numbers next to them, so you can't frame them. The pictures in the CD are of poor quality, small, and pixelated.They are adequate for a small picture on a Powerpoint slide, but at full screen size, the pixels are obvious. 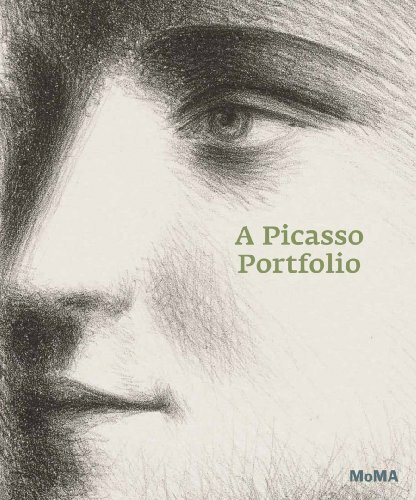 This is a truly wonderful book of images by one of the world's most talented artists.I disagree that the image quality is poor.Very inspiring and beautiful. The book is all that it says it is. The images are beautiful but all in all they are pretty low quality. This book is a real winner. I read it cover to cover. Very comprehensive in covering the subject. Invites me to try the many techniques she illustrates. Well organized subject matter and very clear instructions. I took a class at the John C. Campbell Folk School with Instructor Cathy Taylor. I am new to monotype. 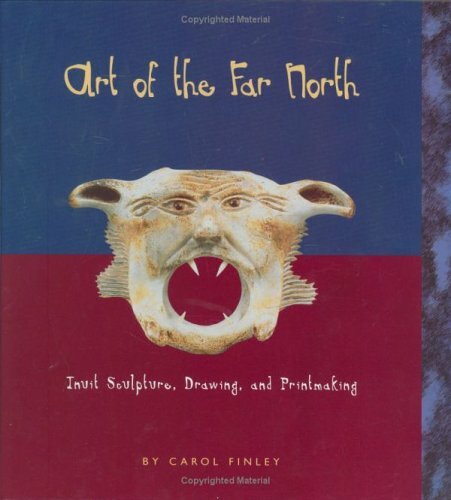 Ms. Taylor highly recommended the book to her students as the bible to this art type. I bought it immediately and I've read it, love it and refer to it often! There are several techniques used and it is very clear and methodical. I ordered this book after watching the DVD by the same name. There is a wealth of information in this book and on her DVD but the book has so much more detail. I am not a painter but I found that the techniques are quite adaptable to my area of dyeing with thickened Procion MX dyes. 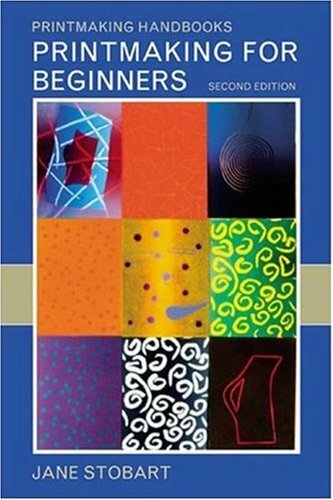 I would recommend this book to anyone wishing to expand their knowledge of surface design regardless of the medium employed. Mexico witnessed an exciting revival of printmaking alongside its better-known public mural program in the decades after the 1910–20 revolution. Major artists such as José Clemente Orozco, Diego Rivera, David Alfaro Siqueiros, and Rufino Tamayo produced numbers of prints that furthered the social and political reforms of the revolution and helped develop a uniquely Mexican cultural identity. 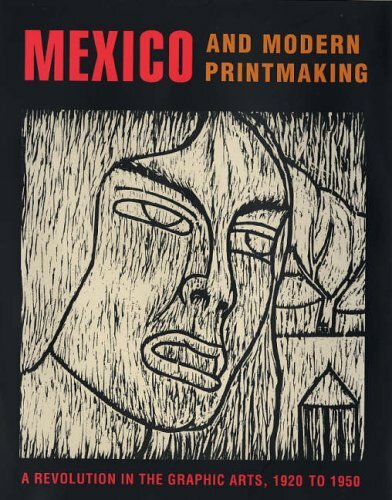 This groundbreaking book is the first to undertake an in-depth examination of these prints, the vital contributions Mexico’s printmakers made to modern art, and their influence on coming generations of foreign artists. Along with a thorough discussion of the printmaking practices of Orozco, Rivera, Siqueiros, Tamayo, and others, the book features some 300 handsomely illustrated prints––many previously unpublished. Essays by distinguished scholars investigate the dynamic cultural exchange between Mexico and other countries at this time. They analyze the work of such Mexican artists as Emilio Amero and Jesús Escobedo, who traveled abroad, and such international artists as Elizabeth Catlett and Jean Charlot, who came to Mexico. 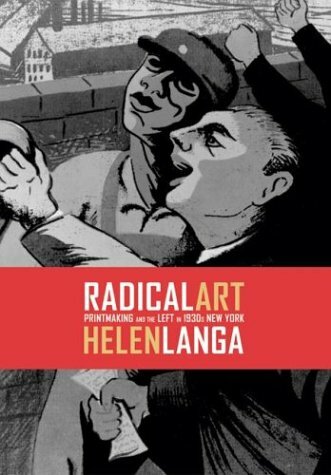 They also discuss the important roles of the Taller de Gráfica Popular, a flourishing print workshop founded in Mexico City in 1937, and the Weyhe Gallery in New York, which published and distributed prints by many of these artists during the 1920s and 1930s. Together, the prints and essays tell the fascinating history of Mexico’s graphic-arts movement in the first half of the 20th century.